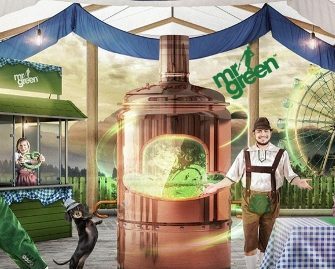 Mr Green – Oktoberfest 2018 | Week 2! Play for holidays, Free Spins and cash prizes! Join Mr Green at his own Wies’n! The Oktoberfest is into it second week and so are the celebrations at Mr Green Casino. More cash prizes, rides on the Free Spin Ferris Wheel and a chance to win a luxurious retreat to the Bavarian Alps worth €8,000 are up for grabs. Earn your tickets to the holiday prize draw by playing on the games in the “Greentober” game collection. 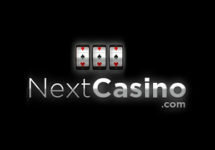 Want to win up to 500 Free Spins? Score the highest single coin win on the eligible games and you could win a share of 30,000 Free Spins, every day. Mr Green just finished the celebrations for his 10-year anniversary and is straight onto the next marathon party, running until 7th September 2018. The Oktoberfest will see hundreds of lucky winners taking home free spins and cash prizes, while one very lucky player will win a luxurious Bavarian holiday. Terms and conditions apply. Enjoy a fresh free spin start to the week with 20 boosted Free Spins on deposit for the Lucky Mr Green. Simply deposit and wager €100 to get 20 boosted Free Spins, worth €1.00 each. 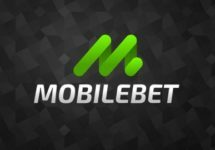 OPT-IN and depositing via the promotional link is imperative to receive the Free Spins, which will be instantly credited to eligible accounts after the deposit is completed and wagered at least once on slots. Wagering requirement for the Free Spins is 35x FS winnings, subject to the Mr. Green Bonus terms and conditions. Enjoy a fresh free spin start to the week with up to 100 Free Spins on deposit for Erik the Red. For example, deposit and wager €30 to get 30 Free Spins or up to €100 to enjoy 100 Free Spins. Win a share of daily 30,000 Free Spins on Lucky Mr. Green. To climb to the top of the leader board, simply play on any game in the “Ferris Wheel” collection – Dragon’s Luck, Lucky Mr Green, Rainbow Jackpots and Treasure Mine – and score the highest single coin win in one spin on any of the games. The TOP1,000 scoring players will win 20 – 500 Free Spins on Lucky Mr Green, credited within 72 hours of each daily race. Wagering requirement for the Free Spins is 35x FS winnings, subject to the Mr. Green Bonus terms and conditions. The prize draw is the grand finale to Mr Green’s 2018 Wiesn. One lucky player will embark on a luxurious retreat to Bavaria, worth an amazing €8,000. Plus, a further 17 runners-up will share €3,000 in cash prizes. Earn on ticket to the prize draw for every 500 rounds played at any bet sizes on the games in the “Greentober” collection – Dragon’s Fire, Golden Fish Tank, Hanzo’s Dojo, Holmes and the Stolen Stones, and Penguin City. The games will change in week two of the campaign. All winners will be announced in a LIVE Draw on Monday, 8th October 2018 on Mr Green’s Exclusive Blackjack Table No. 1 at 19:00 CET. All Cash prizes will be credited within 72 hours of the draw. Winners will be contacted via phone and / or email. The winner of the main prize can chose a cash alternative at 80% value of the prize. 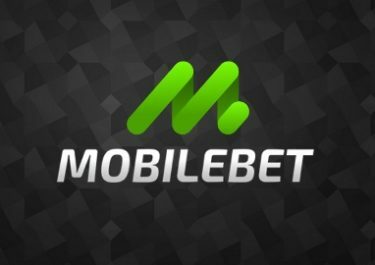 Runners-Up Prizes: 1x – €1,000 | 1x – €500 | 1x – €200 | 4x – €100 | 10x – €50, credited instantly with no wagering requirements.